“The Business Correspondent model is a failure” – seems to be a popular statement to make in the development sector these days. The statement reflects the on-going criticism that the success of the BC model is hindered by various constraints such as a lack of financial literacy on the customer’s side and a lack of serious commitment by banks to further the government mandated program. And yet, for a program that is still in its nascent stage, and furthermore asks for a significant cultural change both on the side of the provider (banks, who must look beyond the model as a government mandated program that clashes with their traditional business interests) and the customer (rural households, who have to recognize the benefits of saving formally) I can’t help but feel hesitant in demarcating the program as a “failure”, just yet. For a quick rundown on how the BC model works, you can read our past blog posts, accessible here and here. Recently, we met with a team of high level banking officials to discuss the workings of the business correspondent model with regards to their bank. Though they admitted that there was previously a very low presence of formal banking in rural areas, a vast improvement in coverage had been observed in the past 2-3 years, backed by a strong push from the Reserve Bank of India (RBI) At the inception of the BC model in 2006, only 6% or 40,000 of India’s 642,000 villages had access to formal banking services. Due to the RBI’s persistent push to increase coverage, today approximately 37.4% or 240,000 villages now have access to formal banking services. In fact, banks are expected to cover all villages with formal banking services in the state of Andhra Pradesh within the next year . Not only are there zero fees to open bank accounts but , as a result of the efforts of the RBI, Know-your-Customer (KYC) requirements have been majorly relaxed by financial institutions. “These requirements have been relaxed for the rural consumer. They can now use formal identification such as a PAN card, Aadhar card, or driver’s license – but also, simply a letter from the Sarpanch [village head] stating that the applicant is a member of the village and confirming his or her address is enough to open a bank account,” said the official when we asked him about the relaxation of KYC requirements. Furthermore, the team felt that accounts were experiencing a general trend of reduced dormancy as many government programs such as the National Rural Employment Guarantee Act (NREGA) have made salary payments mandatory through bank accounts for all households participating in the scheme. In the case of Andhra Pradesh mentioned above , coverage is said to increase on the back of the Direct Benefit Transfer (DBT) scheme, which aims to transfer subsidies directly to people living below the poverty line (BPL), in an effort to increase transparency and reducing siphoning of funds. However, this boils down to a simple lack of financial literacy as time and again, studies evaluating access to formal banking services have shown that formal bank accounts help increase savings, no matter how small the deposits. For example, in a study conducted in Western Kenya, individuals who were given access to formal savings accounts increased the average daily investment in their business by 38-56%. Most clients are unaware of the uses of basic accounts, and banks have done very little to promote the active use of these accounts as the low level of transaction activity is unprofitable for banks. This goes back to my previous point that a change in banking culture has to take place, where banks must envision the BC model as a long-term investment rather than a model which is expected to be profitable from inception. You can read more about dormancy of these accounts, and lack of financial literacy of account holders here. There’s still a lot of work left to be done. It is not enough to simply increase the number of villages who have access to formal accounts, or increasing the number of accounts without attempting to increase account activity through financial literacy programs, or increased diligence by the CSP (who in turn needs the right motivation, training, and supervision). While increased access to formal banking services may not imply an increase in take-up or use of bank accounts, it does indicate a fast growing infrastructure for formal banking services that can be used in innovative ways. 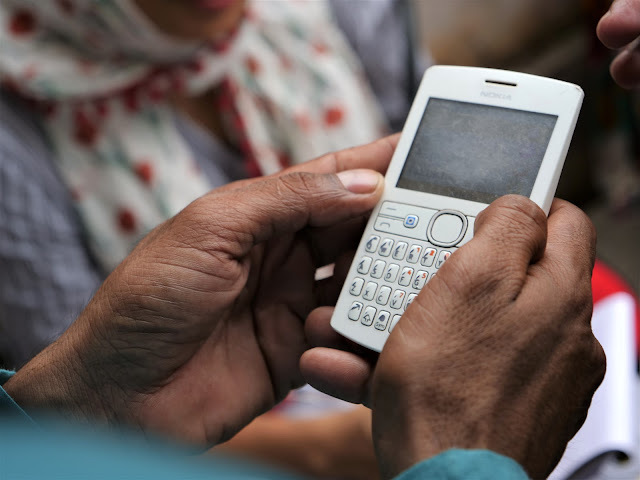 For example, NABARD Financial Services (NABFINS), is an innovative program which uses the BC model to identify clients for microfinance loans, in an effort to reduce client risk and keep interest rates at a minimum. The CSP is a local SHG, which also helps identify potential applicants for microloans. The bank officials we met with stated that representatives at the customer service points in each village were full-time employees of the bank, and were committed to increasing the number of accounts, and increasing the volume of transactions from existing account holders. Though this may hold true in certain cases, the Sa-Dhan report stated that the most pressing challenge in the BC system is the commercial viability of the model. “The whole compensation structure is too meagre to sustain the BC system with a single product like NFA [No-Frills Accounts]. The brunt of the burden is being borne by the Customer Service Point (CSP), who is employed by the BC. There are unmistakable signs of stress and strain in the system.” Customer service points face low or delayed remuneration, and have little knowledge of banking norms, and experience technical difficulties and low cash holdings, reports the study. Often, the CSP is not a full-time job, where the local grocer or a representative who already holds a full-time job acts as a CSP, further reducing their incentive to increasing account activity and promote formal banking. The building of a banking infrastructure is in my opinion the first step in increasing formal banking in India. Innovation and tangible change, in the form of diversifying financial products offered by BC’s, conducting hand-in-hand financial literacy programmes with the opening of accounts, building the capacity of CSP’s, and creating confidence and trust in the BC model, both by banks and customers, can help increase the efficiency of the system. Read more about policy recommendations for the BC model here. I don’t think the weaknesses of the business correspondent model imply that the system is a failure. Does it require some serious tweaking? Undoubtedly.